This is the most versatile gear system you will ever own. 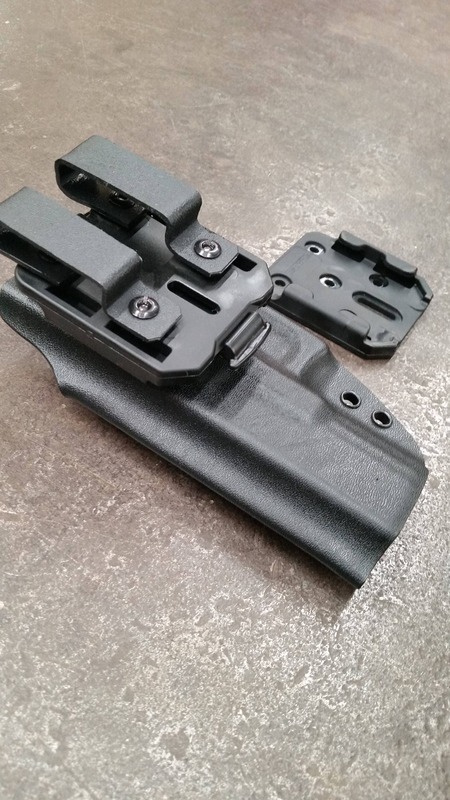 The modular system allows you to fasten (1) receiver mount to your TAC Rack or other spot that you want to store your gear with the provided hardware. 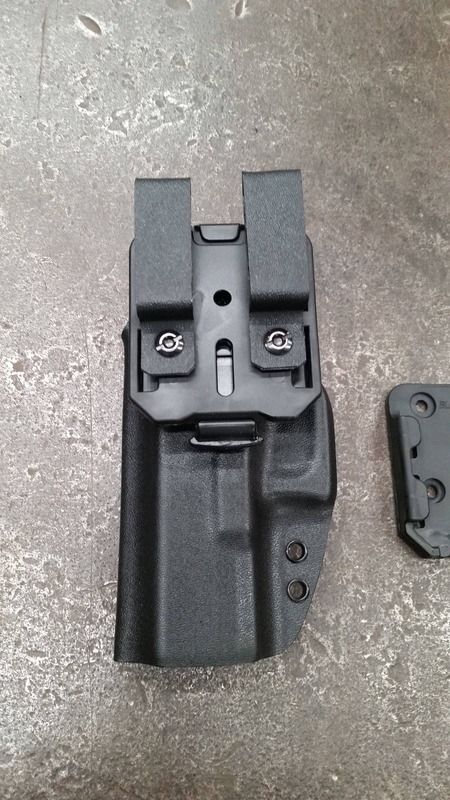 You also have (1) modular mount that comes with 1 3/4'' belt loops. 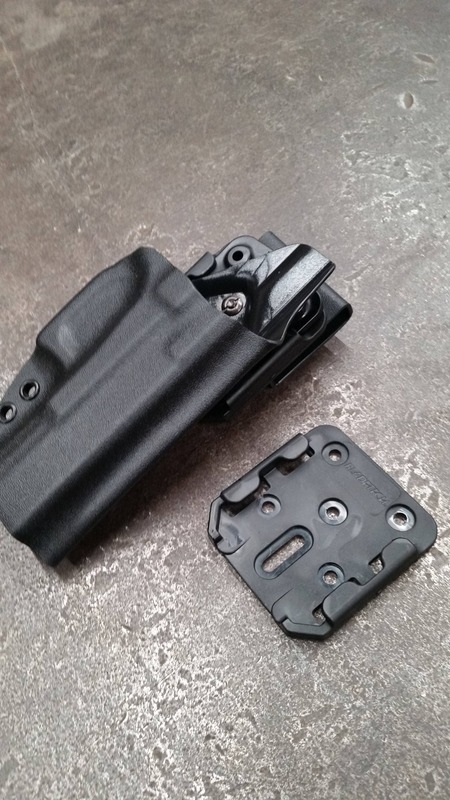 When you want to carry your firearm or magazines simply use the release on the modular mount and attach the items to your belt. Once you are done training, carrying or with your mission you just remove the items from your belt and reinstall them on your rack or other designated storage spot. The modular system is very simple and secure. You are able to transfer all your gear from storage to your belt in seconds! 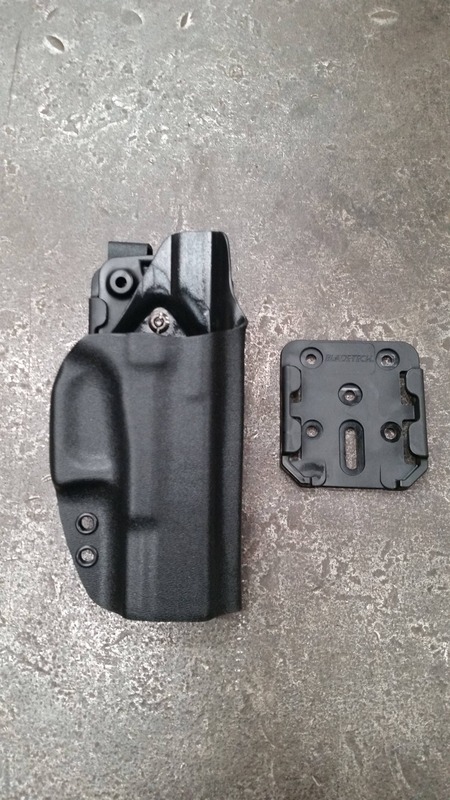 All of our modular gear comes with (2) female receivers one of witch will come with the 1 3/4'' belt loops, mounting hardware and the male clip will be fastened to the Kydex gear that you choose. 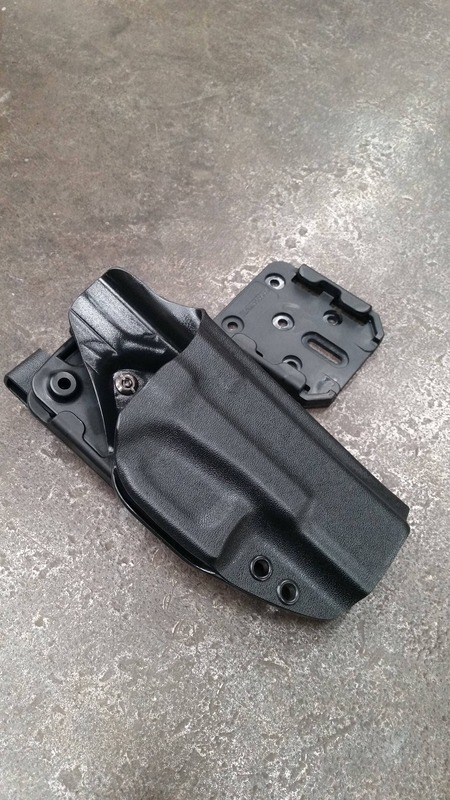 All of our gear is made of .08 quality kydex material. These items are available in Black, Gray and Flat Dark Earth. These items are for anyone. Works great for Government, Law enforcement and Military.